Have you always struggled with cooking? Do you always prefer to cook with your micro wave? Change your habits and be open to a new style of cooking: try to learn about cooking from the French regions, you may wish try them yourself at home! French cuisine is one of the most tasty and diverse style of cooking worldwide. A lot of French chefs are doing business abroad to promote the "French way of cooking". The French "cuisine" is also known to be very trendy and not as complicated to cook as it seems. We will provide you with a guide of the different regional French dishes. The Nord-Pas-de-Calais area is located in the North of France near the Normandy area. The Nord-Pas-de-Calais area is the first chicory-growing area worldwide. It has also its own breed of cows called Bleu du Nord. « chicory » (salad, braised, à la Flamande…) with different kinds of meats. « la Flamiche au Maroilles » (a sort of pie made with a regional cheese: (le Maroilles). « le Waterzoï » (combination of fresh-water fish with a spicy gravy). « le Potjevlesch » (terrine of white meats, veal, chicken, rabbit, in aspic with fat streaky bacon and white wine). 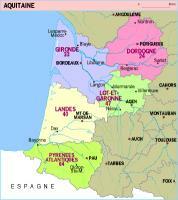 French Cuisine from Nord-Pas-de-C alais is also influenced by the closeness to the Belgium border. Thus, French dishes are mostly served with French fries (les frites in French) as well as beer gravies. Beer and cider are also enjoyed with meals more frequently than in other French regions. To finish off a meal, Dutchgin (Juniper berry eau-de-vie) is frequently served. « Bêtises de Cambrai », a rich and strong mint-flavoured sweet, and « Sottises de Valenciennes », a traditional sweet available in lemon, violet, mint, poppy and rose flavours. 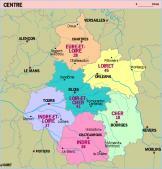 Biggest town of the area : Rouen and Caen. 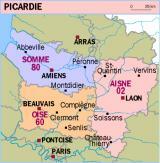 The areas of low and high Normandy are unfortunately well known due to their military history. Indeed, numerous battles took place on beaches and fields of this region during the Second World War. 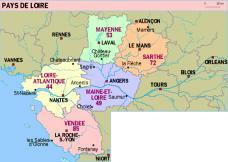 This area is traditionally a fishing area because of the proximity to the sea, 3 of 5 counties of this area are close to English Chanel, called La Manche in French (see map). Milk is considered the "white gold" in Normandy because it is used for the production of the French fresh cream, « crèmes fraîches », butters and quality cheeses such as « Camembert » or « Pont l’Evêque », and also home-made goat cheeses. Because the area borders la Manche, a lot of fishermen provide a huge variety of fresh fish, seafood and shellfish. Fish and shellfish « à la Normande », are cooked with a lot of French fresh cream and butter. The most famous products of Normandy are the Camembert and apples. The most common dish in Normandy is the « lapin à la Normande ». This dish consists of rabbit cooked with apples and accompanied with home-made cider; an applepie as a dessert and a Calvados (liquor also made from apples) for an aperitif. Wait a moment before driving off after enjoying this delicious French cuisine! 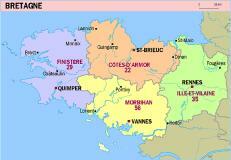 Description of the area: The seasides, the vallonés (hilly) roads, the legendary forests, the archeological sites, Brittany offers numerous faces. The Brittany is an area inspired by fishing because of the proximity to the sea but also by the Celtic history of the area and of course its traditional French cuisine. Brittany is well-known not only for its fish and seafood but also for its buckwheat it forms the basis of the salted or sweet « breton crêpes » and « galettes ». The galette is a pie with a vanillar custard. A crepe is thin and soft, eaten with a variety of sweet or savoury sauces (e.g. mushroom, seafood, fruit). Cider is also a typical hand-made drink very appreciated to accompany meals. The « Galettes de Pontaven », « gâteaux de Chateaulin »,and « crêpes de Quimper » are famous regional pastries. The « Chouchen » is a brandy made up of fermented honey, also called « hydromel » (the drink of the gods) that is a must to try when you are in this region! As the Atlantic coast area, Pays de la Loire also offers fish and seafood, but its most famous product is the mild, unsalted white butter which accompanies these dishes. Pays de la Loire is also a producer of great wines such as «Muscadets, Chinon » or « Saumur » that you can savour with a «canard nantais » (duck cooked with onions) or a « marmite sarthoise » (une marmite is a heavy cast-iron pot, and this dish is really a hot-pot or a combination of ingredients including meat and vegetables). « Berlingots, gâteaux Nantais and Petits Beurres » are the most famous confectioneries and pastries from this area. In Poitou-Charentesarea the main famous product is butter called « beurre Charentes-Poitou » which is an AOC (Appellation of Controlled Origin : high quality product security) and also the lamb « agneau du Poitou-Charentes ». You may be familiar with the Moules (mussels) of Bouchot or Huîtres (oysters) of Oléron, eaten fresh with vinegar and shallots or lemon, or cooked with crème fraîche (fresh cream) like a gratin or on skewers. Poitou-Charentes also offers delicious goat cheeses as well as great wines (vins du Loudonais from a Saumur appellation, du Haut Poitou, du Thouarsis and du Pays Charentais). And last but not least, the reputable town of Cognac known for its famous brandy. Aquitaine has a very rich and abundant variety of local products. The famous eau-de-vie in Aquitaine is the Armagnac with its bouquet of plum or violet. In the rest of France, this kind of cuisine is reserved for special occasions such as Christmas, Easter or New Year’s Eve. A snack alone is symbolic : a slice of campaign bread with Roquefort, a glass of red wine and a Laguiole (hand-made knife produced in Aveyron for more than 200 years). Roquefort and Laguiole which are traditional products are however very fashionable in French society. 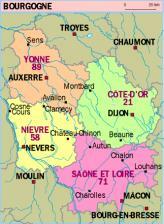 About wines, Montbazillac, Bergerac, Cahors and Gaillac are familar vintages in this area. However there are many other wines less known but would deserve to be. Biggest town of the area : Montpellier. 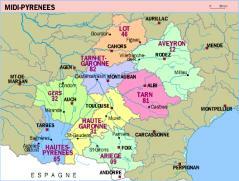 The most common french-dishes of the area: Each department in this region has its own specialities. Ollada is a country soupe that can be appreciated before Boles de Picolat (mince with olive and hot pepper) and a crème catalane as a dessert, for example. There are also patés and sausages, fresh vegetables and fruits and of course seafood. is the area of black truffle mushrooms, cassoulet, cooked pork meats ; goat cheeses, olives and Millas (gruel of fried sweetcorn sprinkled with sugar or coated with jam). is an area where the climate allows fruit growings such as cherries, peaches, apples, grape, nectarines, apricots and almonds, and rice growing. Gard asparagus are also well-known. In the way of meats, sucking lamb or bœuf à la Saint Gilloise (beef) are specialities, not to mention poultry, foie gras, rillettes, juniper berries paté and bull salami. Le Pérail and Le Pélardon are the local cheeses and Croquants de Villardet and Croquignoles d’Uzès are famous local pastries. are fished anchovies, sardines, tunas, red mullets and gilt-head breams. La bourride Sétoise (from Sète) is a speciality of fish with aïoli (provençale garlic mayonnaise). TheHérault offers also cooked pork meats, goat and ewe cheeses, honney of garrigues, chestnuts, grape and figs dried in the sun. and its specialities : sausages, mushrooms, ham, Tripoux and Manouls which are tripes, chestnuts, jams and fruits from woods and mountain. Among local cheeses there are Bleu du berger, Pérail de brebis (ewe), Fédou, Caille de chèvre (goat) and Seillou. Biggest town of the area: Marseille and Nice. The Provence area is the area of Bouillabaise (hot soup made with fish), Ratatouille (spicy dish of vegetable) and soupe au pistou (soup with pesto/basil). The Calisson is a famous sweet which origine keeps its mystery concerning its origin and which is made exclusively with almonds from Mediterrenea (Provence, Italia, Spain and Maghreb). Biggest town of the area : Lyon. Sausages and salamis such as la rosette and le Jésus de Lyon. Liqueur : la Chartreuse de Voiron. With its simple and authentic products, Auvergne offers a large choice of dishes. From ham of Auvergne to salamis for cooked pork meats, coq au vin, stuffed cabbage, truffade, pounti, entrecôte for main dishes, truite au bleu (very rare trout), omble chevalier, brochet (pike), filet de perche (perch fillet), sandre, carpe au vin de St Pourçain… in the way of fish.You will probably enjoy the French cuisine of this area !! Wines : St Pourçain, Côte d’Auvergne. In Limousin, the livestock farming of sheep, cows, geese and ducks provides high quality products such as duck breasts and foie gras. Thanks for its natural resources (rivers, lakes, forests…) this area offers also a great variety of fish, mushrooms (ceps, chanterelles, morels, truffles…), fruits, vegetables and game animals. Fruits : cerises d’Olivet (cherries), apples, pears (passe-crassane). Vegetables : beetroots, potatoes (belle de Fontenay). Fish : grilled salmon, carpe en matelotte, fryings. Game animals : haunch of boar, partridge on canapés, bécasse flambée (woodcock flambé), hares, gigue de chevreuil marinée dans le vin du pays (venison haunch marinated in the local wine). Mushrooms : ceps, chanterelles. In automn, mushrooms do accompany the different dishes giving them a new flavour. Special dishes : tourte aux rognons (kidney pie), andouillettes de Jargeau, pâté d’alouette de Pithiviers (lark paté), quiche aux rillettes, œufs pochés au Chinon (poached eggs). Pastries : the real tarte Tatin, Pithiviers (savoury pasty), le Poirat (pie with pear soaked in eau-de-vie slightly peppered), nougats de Tours. 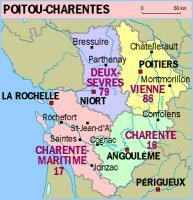 Wines : Selles-sur-Cher, Pouligny-St-Pierre, Valençay, St-Maure, Chavignol. Famous for its prestigious wines, Bourgogne has also local products well-known around the world. This is the case of la moutarde de Dijon, le pain d’épice (ginger bread) and la crème de cassis (blackcurrant liqueur) made up of course with the local blackcurrant. A white wine Bourgogne blanc aligoté mixed with blackcurrant liqueur give the very famous pre-dinner drink : le kir. In the way of cooked pork meats, l’andouillette de Châlons and the one of Chablis are culinary delights, not to mention the Morvan traditional ham and rosette accompanied with un Cornichon d’Appoigny (gherkin) and of course a Bourgogne wine. But more than anything else, there’s l’escargot de Bourgogne which is… a snail ! Anyway, it is really appreciated by gourmets. "Le poulet" (chicken) and "la dinde" (turkey) de Bresse are also appreciated for their tender meat.This white meats are often use in French cuisine. "La race Charolaise", which is a breed, is a reference as far as beef meat is concerned. "L’Epoisse", le St Florentin and le Crottin de Chavignol are traditional cheeses of the region and Chablis, Côte de Beaune, Côteaux de l’Auxerrois… are prestigious appellations of the local wines without forgetting the vineyard of Pouilly-sur-Loire. The Biggest town of the area : Amiens. With a glass of champagne or cider in your hand taste a slice of foie gras before a pre-salted lamb, a smoked eel or a water fowl, and then the famous cheese le Maroilles. As a dessert, try the red fruits with crème chantilly or a gâteau battu, or both ! Tomorrow you’ll taste la Ficelle Picarde, les Potages de legumes (vagetables soups), La Flamiche aux poireaux (leekpie), le blanc de turbot aux huîtres et au Champagne (white fish with oysters and Champagne) and many other specialities with potatoes, duck pâté from Amiens, fish and seafood. The famous wine in Champagne is… the Champagne, king of wines which made the reputation of the region. As a pre-dinner drink you can have Champagne of course, but also the local Rubis de groseilles (redcurrant). During the meal, you can choose Champagne or high quality wines such as le rosé des Riceys (Louis XIV’s favourite wine) or red wine le rouge de Bouzy, les Cumières, Ambonnay, Coiffy, Montsaugeon… or even local cider. And why not trying une fondue aux champignons au fromage de Chaource (Chaource cheese fondue with mushrooms) or un lapin aux noisettes (rabbit with hazelnuts) ? Champagne has a cheeseboard made up of Chaource, Mussy, fromage de Troyes, le Langres (AOC) or le Racrois (which is fat free !). In the way of desserts, there’s le gâteau mollet, la brioche de Pally, la galette au sucre or le Sabayon de fruits rouges des bois. The biscuits roses de Reims are nibbled with Champagne, and at coffee time, ask for « un pousse » and you’ll taste Ratafia, Champagne Marc or Brandy. "Lorraine cuisine" is full of new savours and bright ideas such as le lapin en gelée de mirabelles (rabbit in mirabelles jelly). Lorraine is known for its tarts and jams (redcurrant, mirabelle, raspberry, blueberry, stawberry, quetsches which are plums), its honney from the Vosges, its raspberry’s vinegar, its baba au rhum, macarons, bergamotes (sweets), dragées de Verdun (sugared almonds), madeleines de Commercy, and its famous chocolate makers in Nancy, Metz, Verdun, Longwy. Last but not least, drinks : Lorraine beers and great local wines such as Côte de Meuse, Côte de Moselle, Gamay Noir, Pinot Noir or Gris de Toul (rosé filed AOC) will give you a perfect meal. Of course, this region has its own brandy which is mirabelle eau-de-vie. And as a pre-dinner drink or to accompany a dessert, try the Ambroseille (eau-de-vie made up with red or white redcurrants) mainly found in Bar-le-Duc. The most common french-dishes of the area: Alsace in the region of France with most starry restaurants. The late grape harvest indicated vendanges tardives on the bottles offer a very sweety wine served as a pre-dinner drink or to accompany desserts. Marc de Guewurtz is a famous liqueur from Alsace. 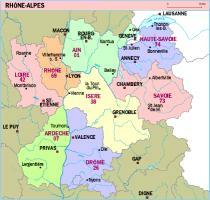 Franche-Comté is particularly known for its cheeses and cooked pork meats as well as some specialities. Among smoked salt meats you can taste the famous saucisse and Jésu de Morteau, saucisse de Montbéliard, smoked ham, pork shoulder and streaky bacon from Braisi, ham from Luxeuil, and also dried and smoked beef meat. Local snails and foie gras are excellent as well as specialities like croûte aux morilles (morels in gravy on a slice of toasted bread), Michons de choux (cabbage), épaule du Ballon (pork shoulder) or else Croque rave d’Audincourt (turnip). In the way of sweeties, there are les galets de Chalain, les biscuits de Montbozon, les Choucots de noisettes de Baume-les-Dames (with hazelnuts), le Belfore de Belfort (rich shortcrust pastry with almonds filled with raspberry), and pastries and chocolates from Besançon such as Griottes Bisontines (cherries), Galets du Doubs, Pavés Bisontins, Minutes de Besançon. This region produces also a great variety of eaux-de-vie like Kirsch de Fougerolles, gentian liqueur or liqueur de sapin (fir tree liqueur). Corsica, also called « île de Beauté », produces olive oil, which is the basis of local dishes, and several honneys from the one hundred thousand flowers found in the maquis. Corsica cooked pork meats such as Prisuttu (ham), salamu (salami), coppa (spare rib), figatelli (liver sausage) are very high quality products. Ewe and goat cheeses are other specialities of Corsica, and from the fresher to the stronger, they will surprise you. Despite the fact that Corsica is an island fish is not plentiful in this region but its main quality is its freshness. Fruits from the coast and the mountain (oranges, clementines, apples, plums, pears) have kept their natural taste. In the way of wines, Corsica counts eight areas of AOC wines which ensure their high quality, from tender muscats from Cap Corse to Vermentino, to Niellucio, to Sciaccarellu. And don’t leave without tasting myrtle liqueur ! You have learn about french-dishes ! Discover now which wines to choose with your meal!